The Copan Sculpture Museum in western Honduras features the extraordinary stone carvings of the ancient Maya city known as Copan. The city’s sculptors produced some of the finest and most animated buildings and temples in the Maya area, in addition to stunning monolithic statues and altars. The ruins of Copan were named a UNESCO World Heritage site in 1980, and more than 150,000 national and international tourists visit the ancient city each year. Opened in 1996, the Copan Sculpture Museum was initiated as an international collaboration to preserve Copan’s original stone monuments. 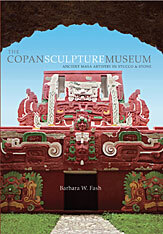 Its exhibits represent the best-known examples of building façades and sculptural achievements from the ancient kingdom of Copan. The creation of this on-site museum involved people from all walks of life: archaeologists, artists, architects, and local craftspeople. Today it fosters cultural understanding and promotes Hondurans’ identity with the past. 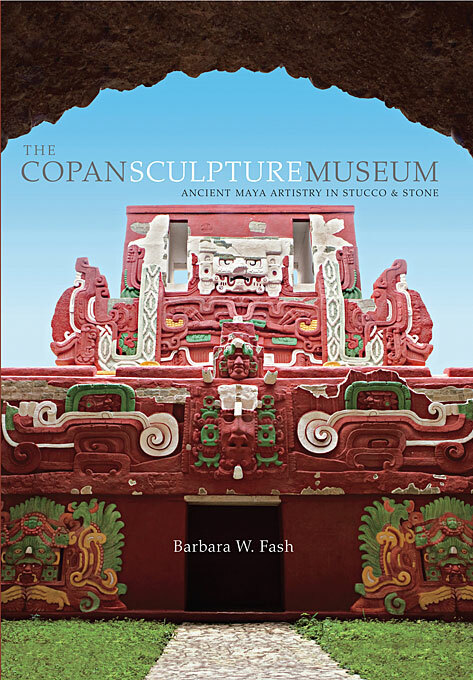 In The Copan Sculpture Museum, Barbara Fash—one of the principle creators of the museum—tells the inside story of conceiving, designing, and building a local museum with global significance. Along with numerous illustrations and detailed archaeological context for each exhibit in the museum, the book provides a comprehensive introduction to the history and culture of the ancient Maya and a model for working with local communities to preserve cultural heritage.